Aboriginal Journeys is a family owned wildlife viewing and adventure tour company located in Campbell River on Vancouver Island, British Columbia.We operate within the traditional territory of the Laichwiltach (Native) peoples. Your tours are guided by locally born residents and certified boating professionals. You can be assured that you are in very knowledgeable and capable hands as the genuine care, comfort, and safety of our guests is always our first mission. Enjoy a comfortable journey aboard our 27-foot covered high-speed tour boat with an open viewing deck and an onboard washroom.The vessel has twin engines and carries 12 passengers and is fully equipped with all the proper navigation and safety equipment. Even on a rainy day, you’ll be warm and dry inside. We look forward in creating long-lasting memories for you and your loved ones. Come and be a part of our family and join us for a journey into this spiritual, mystical, and natural world. 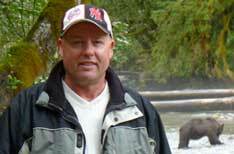 Garry is locally born and raised and one of the most experienced Tour Guides in Campbell River. He has over 40 years experience working and travelling within the coastal waters of British Columbia. He has given thousands of Whale Watching and Wildlife tours in his career. In addition Garry is a certified Bear Viewing Guide and has guided over 800 Grizzly Bear tours as well. He is also a proud member of the Commercial Bear Viewing Association of British Columbia . He has a strong passion and a love for nature and the animals , and is an advocate for the protection of wildlife. He has been providing tours with Aboriginal Journeys since 2000. 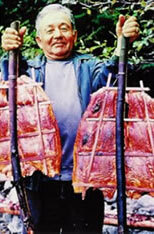 Owner, Daniel Billy, an elder from the We-Wai-Kai First Nation. A Spectacular Adventure Awaits You! What a brilliant excursion, Garry has more information and experience than you can possibly remember! We were extremely lucky and saw seals, bears, eagles, dolphins, porpoise and the unforgettable orcas. I can not recommend this tour enough. Thank you Garry!!!! We travelled with an 82 year old disabled passenger and was more than taken care of.